Home » When is latex actually latex? Anyone who has read my articles knows I’m an outspoken critic of the mattress industry and misleading practices thereof. Here’s a big one that even I missed, mostly because I find it so incredibly misleading that it wouldn’t even occur to me to market this way. Synthetic latex is still latex by industry definition! I’ve always said that if anybody that says they have “100% latex” they have 100% BS. I’ll stand corrected on that, if they have 100% latex it’s synthetic not natural, which I think is still BS. Like many of you I’ve always associated the word “latex” with natural, this is clearly not the case. I’ve also heard retailers say “this contains 100% natural latex” when I know that only 40% of the product is 100% natural. Here’s the major points to ponder and ask when looking at your next mattress purchase. Is the mattress flippable? If the answer is no I think you’re wasting your money. 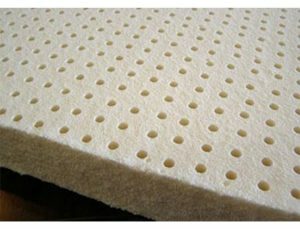 Is it Dunlop, Talalay, Blended (partially synthetic and partially natural) In either case how much latex is actually being used? Watch the wording? Is the retailer using words like “natural” and “contain”. Beware “buy today or the sale ends”. Instead take your time and do your homework. Remember at John’s I only use the best of the best, nothing hidden, nothing on sale. Just the best price every day. If you have a question about mattresses email me. john@johnsbedrooms.com and I’ll personally answer your email.